Orange County Tennis Information - What is 10 and Under Tennis About? What is 10 and Under Tennis? 10 and Under Tennis is a revolutionary change in the way kids learn and play tennis, as well as compete. Tennis is following the formula that the majority of youth sports have used for years - tailoring equipment and courts to a child’s size and age so that they develop skills and have fun right from the start. 10 and Under Tennis is structured for kids to learn tennis and rally and play quickly in a way that is both enjoyable and rewarding. Tailoring equipment and courts so they are sized appropriately for kids makes the game more accessible—and more fun—by allowing kids to get involved right from the start. 10 and Under Tennis eliminates waiting in long lines to hit the ball and the frustration kids feel at not being able to rally. Kids will enjoy playing the game right away and will keep coming back for more, developing a lifelong passion and appreciation for tennis – also helping to grow your tennis program. Playing the game like it's meant to be played. Only smaller. 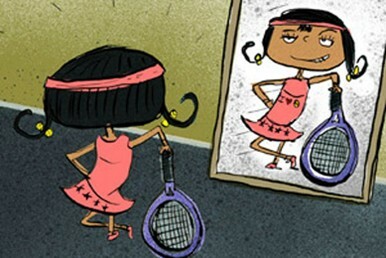 Make no mistake about it, 10 and Under Tennis is real tennis. It's easier to master and more fun for kids to learn. When kids are rewarded with a sense of success, they are far more likely to stick with the game. And since tennis is a "life sport", that means you have a real opportunity to make an impact on more than individual players, but on the sport itself. And that's a game where everyone wins. The USTA, Andre Agassi and Stefanie Graf are teaming up to encourage children to get healthy, active and into the game of tennis. Even the First Lady is getting into the game! 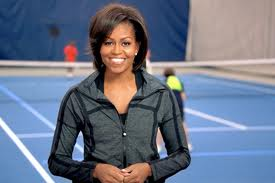 See how Michelle Obama, Andre Agassi and Steffi Graf get kids active and moving with 10 and Under Tennis.